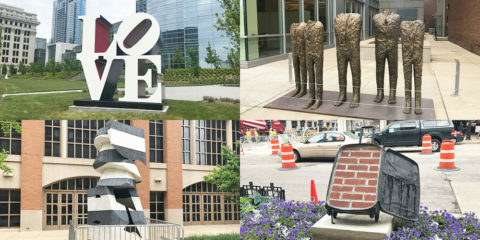 For most Milwaukeeans, Summerfest marks the midpoint of summer in a frenzy of fireworks, free(ish) concerts, and memories that will hopefully sustain them through the next winter where February lasts for 15 years. The beginning of July also marks another great Wisconsin tradition that’s been running for more than 30 years near the Illinois border. Bristol Renaissance Faire has been around long enough that, were it a person, it would likely have at least one 10-year-old kid of its own that it would have to explain what a “saucy wench” is. For anyone living under a rock (or, more appropriately, stuck in Mordor for the past few decades), Bristol is an award-winning, nationally recognized experience that runs every weekend from July 7 through Labor Day. The faire is set during the Queen of England‘s visit to the small town of Bristol in the year 1574. It has actors who take on the roles of the famous personalities, shows full of swashbuckling and slapstick, and vendors out to send kids home with fake wooden swords and adults home with fake metal swords. But, really, what makes the faire such a grand experience is the same secret sauce that makes Summerfest such an unforgettable experience: people watching. Croc-footed Chicagoans rub elbows with historically accurate pikemen. Coors Light knights chase kids with big foam Warcraft swords. Cosplay may have spread through conventions over the past decade, but it was born here many years ago by everyone who ever cinched on a rapier or worried about how to get a turkey leg stain out of a pirate shirt. Bristol is leaning into its cosplay roots this year by featuring two new theme weekends encouraging costumes outside what might be expected for historical accuracy. Fantasy elements have been creeping into many weekends thanks to the popularity of Game Of Thrones, Lord Of The Rings, and Harry Potter; August 4 and 5 is the Monsters and Magic weekend that encourages photo ops with strange beasts and probably a few repurposed Halloween costumes. The festival also shows it’s not immune to the rise of superhero popularity with August 18 and 19’s Heroes and Villains weekend. Seeing modern costuming in the setting of Bristol has always been fun ever since Trekkies started wearing their convention gear to the faire as a lark. Now, watching Captain America and Batman bump into each other near the stockade is a great way to spend the day…and the night writing some fan fiction. Returning fans of the faire will get to see and do their favorite things, too. There’s still big turkey legs and sarsaparilla, there are still pirate and steampunk weekends, and there’s still RenQuest for the people who don’t want to cancel their Dungeons & Dragons game. For anyone that’s a big fan, it’s a great way to escape a world where horror is beamed directly into our pockets on the regular. For anyone who has never been, it’s a nerdy way to spend the day that always creates memorable moments no matter what. 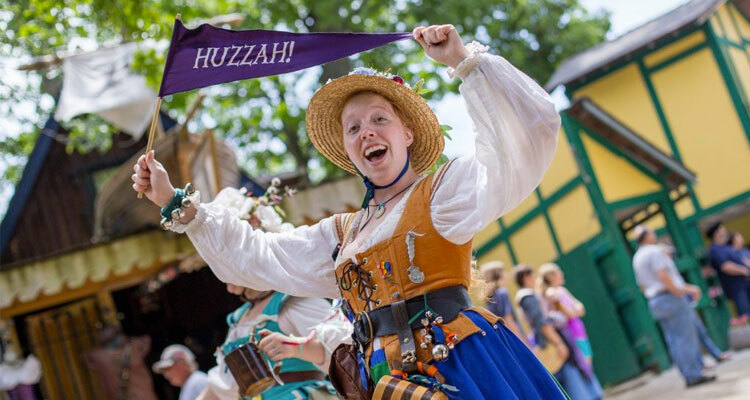 Bristol Renaissance Faire runs every Saturday and Sunday from July 7 through September 3, 2018.